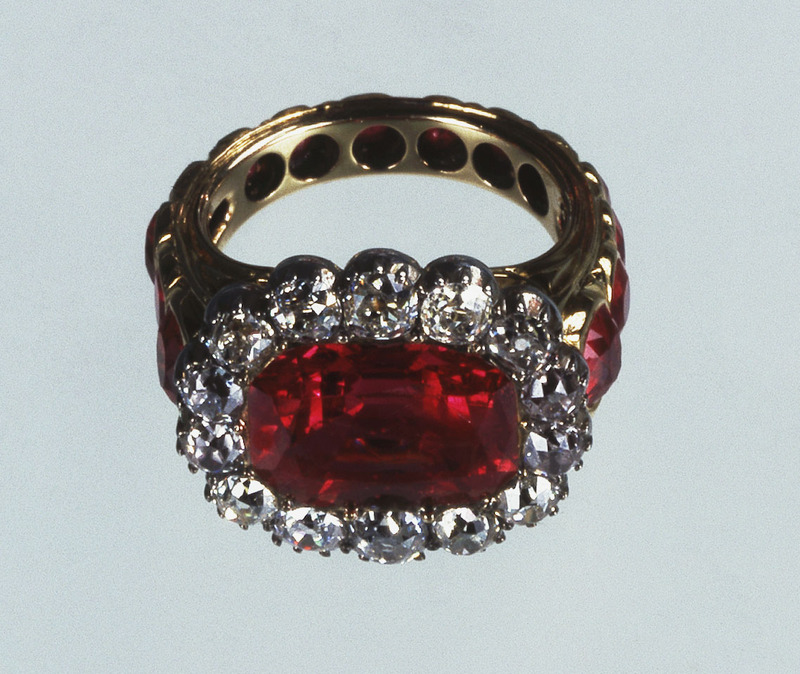 Queen Adelaide's ring comprises an extended octagonal mixed-cut ruby in a gold setting, unbacked, within a border of fourteen cushion-shaped brilliants set transparent in silver collets. 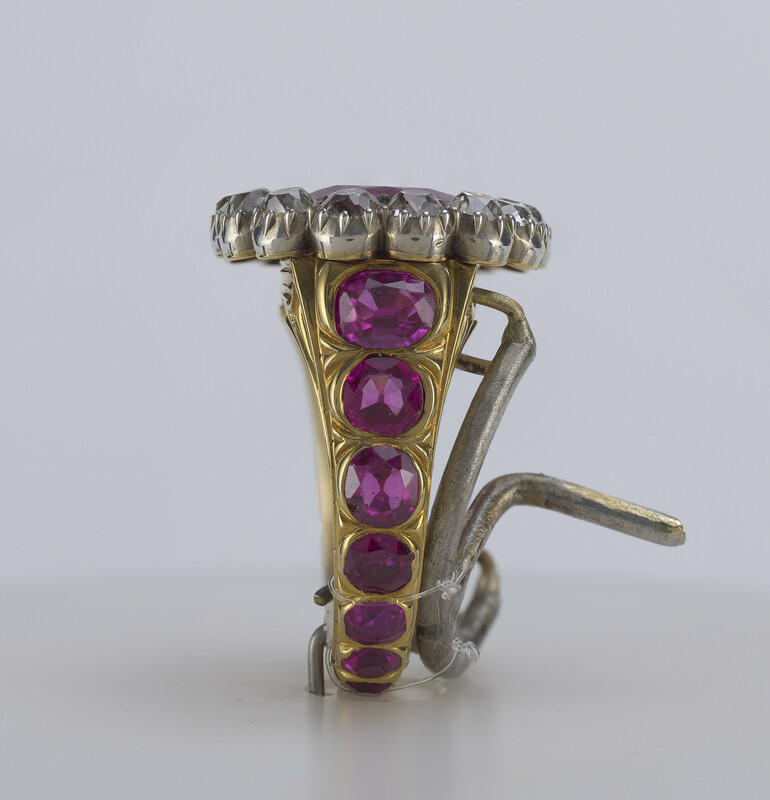 The gold shank is set with fourteen graduated mixed-cut rubies. Like the sovereign, the queen consort is presented with a ring during the coronation ceremony. 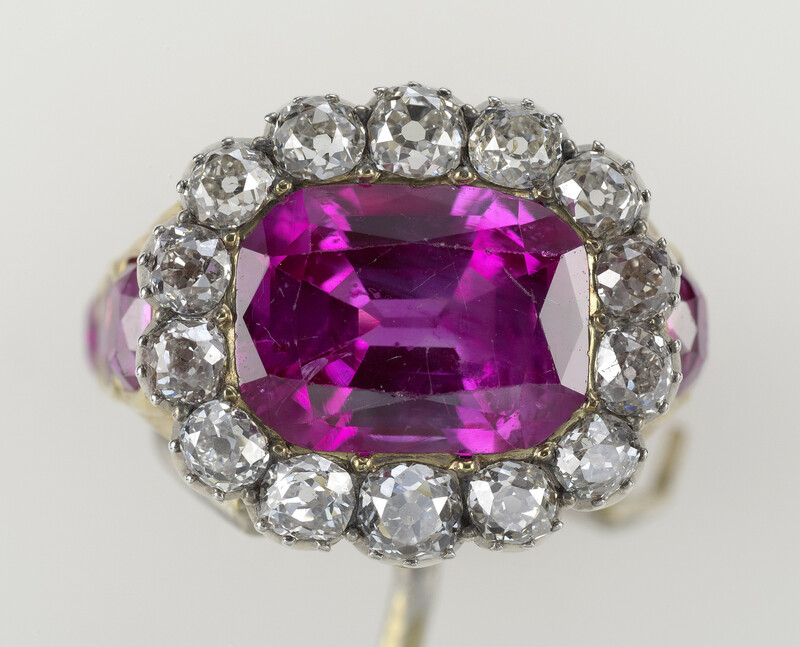 Since the thirteenth century it has been traditional to include a ruby as the principal stone in the ring. 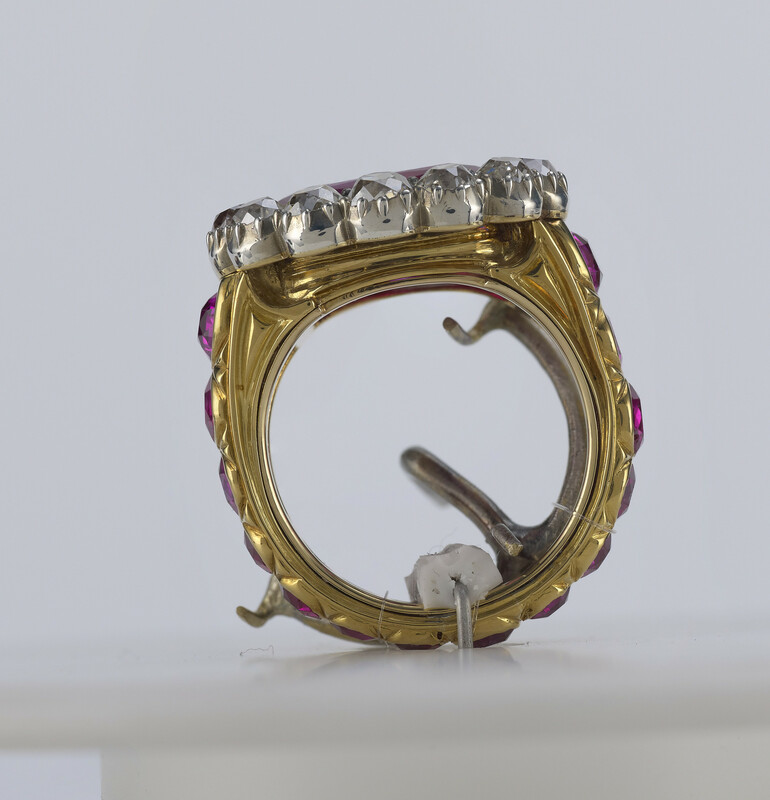 This ring was made for the coronation of William IV and Queen Adelaide in 1831. Rundell's optimistic estimate of £150 for Queen Adelaide's Coronation Ring in 1831 was reduced to £100. 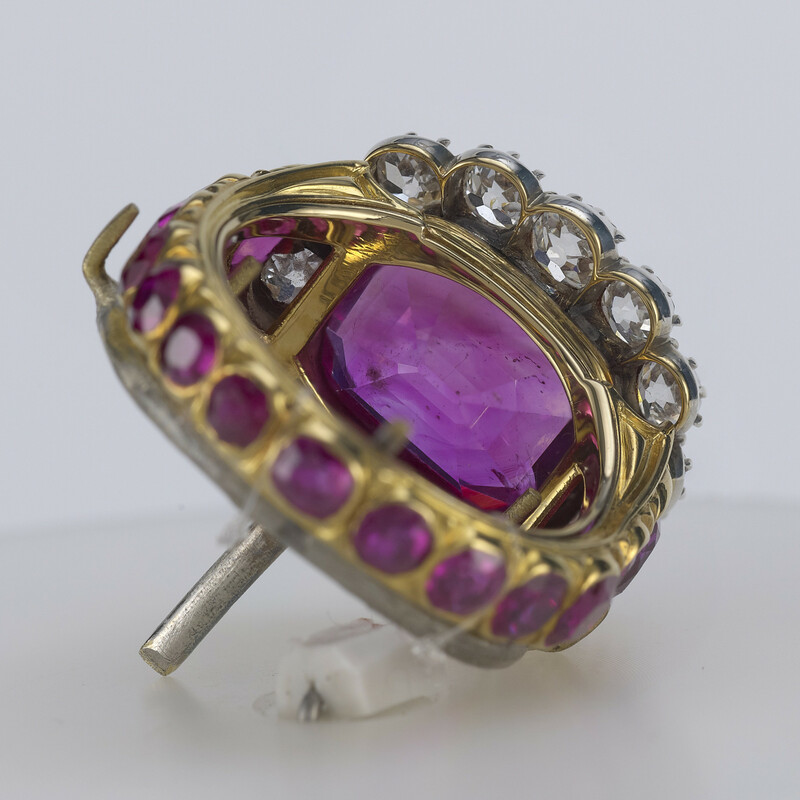 In the event, the firm produced, 'A Ruby and Brilliant Ring for the Queen' for £126, and this was accepted by the Lord Chamberlain's department. Like all coronation rings until the twentieth century, each monarch or consort had a newly-made ring which was not kept with the regalia but with the personal jewellery of the sovereign. William IV left his coronation ring to his widow, Queen Adelaide, who in turn bequeathed it to Queen Victoria, together with her consort's ring. 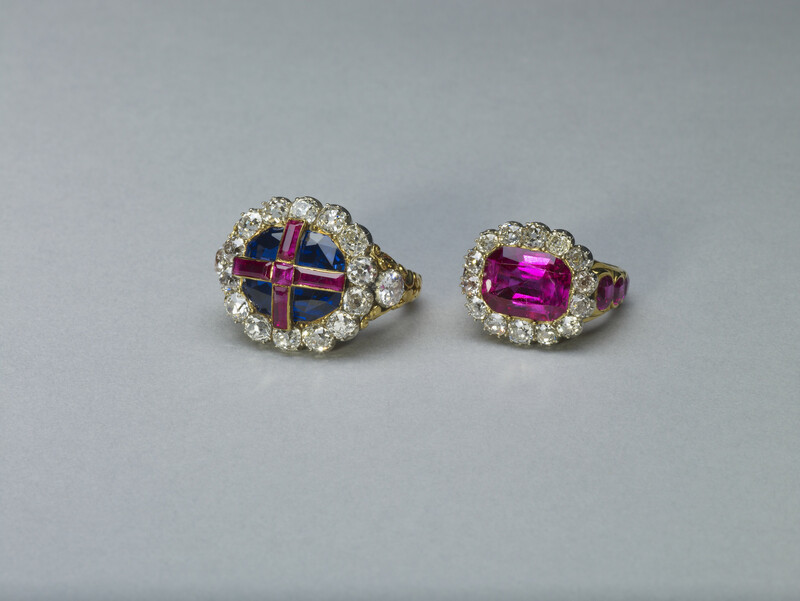 Queen Victoria left both of these, and her own coronation ring to the Crown in 1901, and all three were deposited in the Tower of London, with the other Crown Jewels, by George V in March 1919. Since the coronation of Edward VII all queens consort have used Queen Adelaide's ring at their coronations. Supplied to Queen Adelaide for the coronation of 1831, by the royal goldsmiths, Rundell, Bridge & Rundell.